"She is head and shoulders above the rest of these at her best, we all know that, and she looked good when beating Crystal Ocean on her comeback at Kempton." 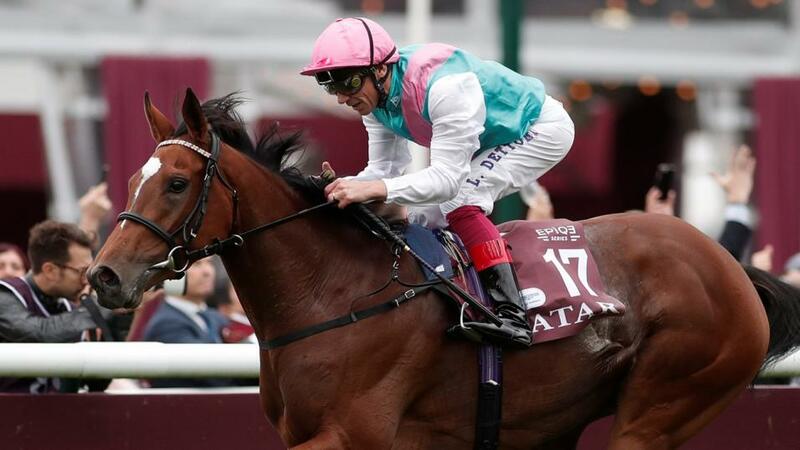 On what we have seen on the racetrack so far, Enable has no flaws, and she will win this if turning up in the same shape as last year. I don't know what the ground is going to be like - I always reserve judgement until I see it for myself - but it probably doesn't matter to her, either way. She is head and shoulders above the rest of these at her best, we all know that, and she looked good when beating Crystal Ocean on her comeback at Kempton. However, this is a different test altogether, against 18 rivals, and coming back to the Arc a year later after just one run in the meantime is clearly not ideal. Yes, she probably wins, but that interrupted season gives the rest of us hope. I know St Leger winners don't have a great record in the Arc, and his draw in 14 could have been better, but Kew Gardens is a Group 1 winner over course and distance, has improved throughout the season, and comes here in good shape. He had the race won some way out at Doncaster, so it would be wrong to label him as a stayer, but he probably needs to improve 6lb or so to put himself in with a chance of winning this. Then again, if Enable doesn't perform, this is up for grabs for everybody. Sea Of Class still has upside to her, and you can't fault what she's done this season, most notably in the Yorkshire Oaks last time. She has to improve, like my colt, and her draw could also have been a bit kinder, but, like I said, the potential is there. She obviously wants it on the quick side. Waldgeist was impressive when beating stablemates Talismanic and Cloth Of Stars in the Foy, but I don't think there is as much between those horses as that race suggested, if anything. The placed horses are solid, proven Group 1 performers - indeed, Talismanic won a Breeders' Cup Turf and Cloth Of Stars was a clear second to Enable in this last season - and I would just question whether Waldgeist is up to winning at this level, however good he looked last time. I know he was only just beaten in a French Derby and is a dual Group 1 winner, but to me his short-head defeat of Coronet, with Salouen in third - and I think Frankie thought he had won there - in the Grand Prix de Saint-Cloud is a decent measure of his talent. I may be wrong, but I don't think he will be quite up to it. Capri is definitely interesting though, like Enable, his preparation has not been ideal and you just wonder whether he is at the level he needs to be at the moment. But, in terms of form and class, this Irish Derby and St Leger winner could easily make his mark. He clearly wouldn't have been primed for the Foy last time on his first start back since April, and he is overpriced on ability alone. We know what Nelson is and Hunting Horn ran a great race when just touched off in the Niel, and Magical completes Aidan's five in here. Magical clearly needs to improve a stone or more to be winning this, and racing over 1m4f for the first time in an Arc could be at least be a step or two too far for her. But I thought she was ready for a step back up in trip after a good run in the Matron last time, and she finished off her race really well when winning over 1m1f at the Curragh previously. It obviously wasn't a great race in Arc terms, but it has worked out well all the same. I think she will stay further than 1m1f, and she is a Galileo, and I wouldn't be in the least bit surprised if she ran well. Remember, she would have run in the Oaks had she not met with a setback in the summer, so there is definitely an unexposed element to her. It's clearly a very big ask to be stepping up half a mile to contest an Arc, though, and she probably wants it softer than she is likely to get here, as well as her outside draw dictating she will need a lot of luck in running. But I wouldn't question her class. Watch the Arc live on Betfair! Betfair has secured the rights to stream live French racing on the Sportsbook, just in time for Arc weekend! All of the races from Longchamp on Saturday and Sunday will be available to watch - simply place a bet of 50p or more.